STRUGGLES FOR JUSTICE EDITORIAL: The decision to cut off Detroit city water users by the Detroit Water and Sewerage Department (DWSD) has left tens of thousands of residents who cannot pay their bills without clean, sanitary water services. To be sure the City’s $90 million in unpaid bills needs to be turned around by Kevyn Orr, Michigan Governor Rick Snyder’s Emergency Manager. The DWSD has begun aggressively collecting money owed to it from those who can pay but who are not. Its efforts are commendably having some 60% (their numbers) of those in arrears pay off what they owe when confronted with a water shutoff. But what if a resident or family just doesn’t have the money, and has not had the money for some time? This is something that the water department and emergency manager could allow for if only they wanted to. But they don’t. No allowance is made whatsoever for conditions in a city where 38% of Detroit residents live in poverty and where 83% of all residents are black. No consideration that water shut offs will and do affect children, the elderly, and disabled. This statement is nonsensical. It does not allow for residents who have no payment to put on a payment plan. The 1970’s historic near total annihilation of the American auto industry that supported a fiscally healthy and first world quality of life for Detroit changed everything. Most white residents of Detroit did a huge white flight number two decades ago, and left the city’s tax base in a shambles. And Michigan Governor Rick Snyder deprived Detroiters of democratic self- government with a view to selling off much of the city to large global corporations, and where black residents hit hardest have no options and no place to go. Those who can’t pay lose access to safe, clean drinking water, based on a dollars and sense decision that lacks any consideration for a compassionate humanity. There are practical concerns too. Much of old Detroit has been compared to a war zone, and a Third World nation environment. Those characterizations are not far off from the truth. But it is not the city’s left high and dry poor who are responsible for their own plight. The United Nations has been appealed to by a local water rights group, and is now responding. In July 2010, the UN General Assembly passed a resolution on clean water standards. In much of the Third World lack of clean water and proper sanitation is a major feeder of cholera. The United States has not seen major cholera epidemics since the early part of the Twentieth Century. Detroit could be a good candidate for one quite soon. Worldwide, over 800 million people are denied access to clean, safe, drinking water. That includes the sanitary measures needed by proper sewerage systems to ensure disease is not spread by such conditions. The UN advocate for such rights, UN Water and Sanitation Expert Reporter Catarina de Albuquerque has affirmatively gone to work on this problem in the United States. She has the authority to approach governments of member states to press them for solutions that meet both the human right to water, and the public health dangers concerned when human beings have no access to it. De Albuquerque will report back to the General Assembly, the “Reporter” in her job title. That body could draft a resolution condemning the United States for violating previous human rights treaties the U.S. has been a signatory to. Already inner city churches are finding people lining up to take their water just to survive. Many have small children. This truly is a United Nations human rights issue. For the United States, will we continue to oppose the 2010 resolution? Will access to clean water be something more and more of us have no right to expect as citizens of the United States? Already, drought conditions that have for well over a decade made California a dried up flaming fire zone, seeing water auctioned to the highest bidder. Prices are skyrocketing. Struggles for Justice is deeply concerned that water will increasingly become a for-profit commodity, where the poor and racially and socially ostracized will have their basic human rights violated, with tragic consequences. The Supreme Court’s dramatic shift to enlarging the rights of corporate business at the expense of biological human beings as we have thought of them since our species began to proliferate on Earth, and growing income inequality, will make it easier for the nation’s rulers, (not representatives) for that is what they increasingly are, to simply discount the needs of the less fortunate. The moral imperative here is that acting for, and showing humanitarian concern for others, is something no one can turn away from. 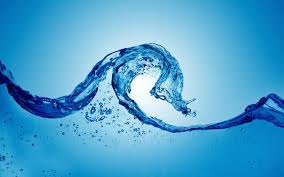 Safe drinking water and proper sanitation are among the most elemental of them. And Christian theology, with Jesus the Christ scripturally modeling for believers how they ought to behave conflates water, both practical and necessary to life both in this world and the next as elemental to the faith. Struggles for Justice cries out for something both here at home, and abroad, to get these conditions so necessary for life and health to every one of us. This entry was posted in Community and Citizen Action, Foreign Policy, National Affairs, The Faith Community and tagged Bill Nowling, Blacks, clean water, Detroit, drinking water, Human Right to Clean Drinking Water, Kevyn Orr, Poverty, Racism, UN, United Nations, Water. Bookmark the permalink.